The overall running time of operated SaM146 Power Plant Systems (PPS) taking Sukhoi Superjet 100 (SSJ100) airliners to the sky now exceeds 1 000 000 flight hours. The engines have been in service since 2011 and are currently used by 15 operators in Russia and abroad. The engine dispatch reliability is 99.9%. SaM146 is an integrated PPS including an engine and a nacelle with a reverser unit. The engine is produced by Rybinsk UEC-Saturn (a United Engine Corporation company, part of State Corporation Rostec) in equal partnership with Safran Aircraft Engines (France). SaM146 deliveries and all after-sales support services are managed by PowerJet (a joint venture founded by Safran Aircraft Engines and UEC-Saturn). The SaM146 engine is certified in compliance with EASA and IAC AR regulations. 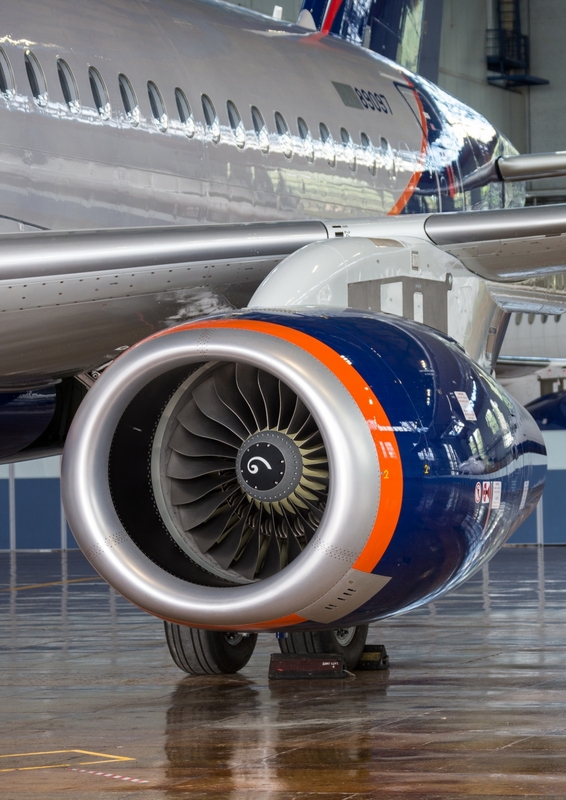 The key operator of SSJ100 aircraft with SaM146 engines is Aeroflot. A large customer is the leasing company GTLK which delivers SSJ100 to the Russian airlines Yamal, Iraero, Yakutia and Azimuth for operational leasing. The engine is operated successfully in extreme climatic conditions – at ultimately low/high temperatures – in Yakutia and Mexico. Moreover, a number of operators use the engine quite intensively – up to 9 hours a day. In April 2012, UEC-Saturn obtained a Production Organization Approval certificate from EASA, a year before a similar certificate had been granted by IAC AR. In March 2014, the company was certified by EASA for SaM146 engine maintenance and repair. Thus, UEC-Saturn is the first company in the country that has the full set of competences certified in Russia and Europe for the development, serial production, maintenance and repair of commercial aircraft engines. As of today there are already 4 engine modifications developed. SaM146 will be applied to re-engine the amphibian aircraft Be-200. The framework development agreement for the new engine modification to power the re-engined Be-200 version was signed by UEC-Saturn and Safran Aircraft Engines in May 2018. The SaM146 engine which combines the experience and new technologies of the Russian and Western engine-building fully meets up-to-date environmental requirements. The optimized by-pass ratio and reduced fan speed made it possible to drastically abate noise caused by engine operation and to ensure a margin versus the ICAO part IV regulations. The SaM146 dispatch reliability equal to 99.9% is at the level exceeding the average one for this class of engines. The development of SaM146 is going on – it is constantly improved with due account for operation experience. PowerJet's current support and maintenance system is represented by two spare part distribution centres (Russia and France), two maintenance centres (Russia and France) and two Training Centres (Russia and France). The location of stocks in the both countries allows parts to be delivered within 24 hours to almost any destination in the world. To support airlines there are also pools of spare engines and accessories. In the interests of each client PowerJet implements a comprehensive support program adapted to its needs and including engine repair and replacement on wing, preventive checks, leasing etc. For the convenience of customers there is some work under way to extend the engine "buffer stock". PJSC "UEC-Saturn" is an engine-manufacturing company specialized in the design and development, production and after-market support of gas turbine engines for commercial aviation, power generation and gas compression as well as for ships and vessels. UEC-Saturn is part of United Engine Corporation. It is situated in Rybinsk (Yaroslavl Region). UEC-Saturn is a member of “Russia’s Mechanical Engineers Union”, an All-Russian industrial association of employers. The Yaroslavl regional division of the All-Russian public organization “Russia’s Mechanical Engineers Union” is headed by Viktor A. Polyakov, Managing Director of PJSC “UEC-Saturn”. Rostec State Corporation is a Russian corporation established in 2007 in order to facilitate the development, manufacturing and export of high-technology industrial products of commercial and military application. The corporation comprises 700 companies, which form 11 defense-industrial and 4 civil industry holdings as well as 80 direct control companies. The Rostec portfolio spans such renowned brands as AVTOVAZ, KAMAZ, Kalashnikov Concern, Russian Helicopters, VSMPO-AVISMA, Uralvagonzavod and others. Rostec’s subsidiaries are located in 60 regions of the Russian Federation and deliver their products to over 100 countries worldwide. Rostec's consolidated revenue reached 1 trillion 589 billion rubles in 2017, the consolidated net profit — 121 bln rubles and EBITDA — 305 bln rubles. The average salary of the Corporation in 2017 amounted to 46 800 rubles. Following Rostec's strategy, the major objective of the Corporation is to ensure the technological advantage of Russia on competitive world markets. The introduction of a new technological structure and the digitalization of the Russian economy are among Rostec’s key tasks.